Kate De Goldi’s novels and picture books really engage you. 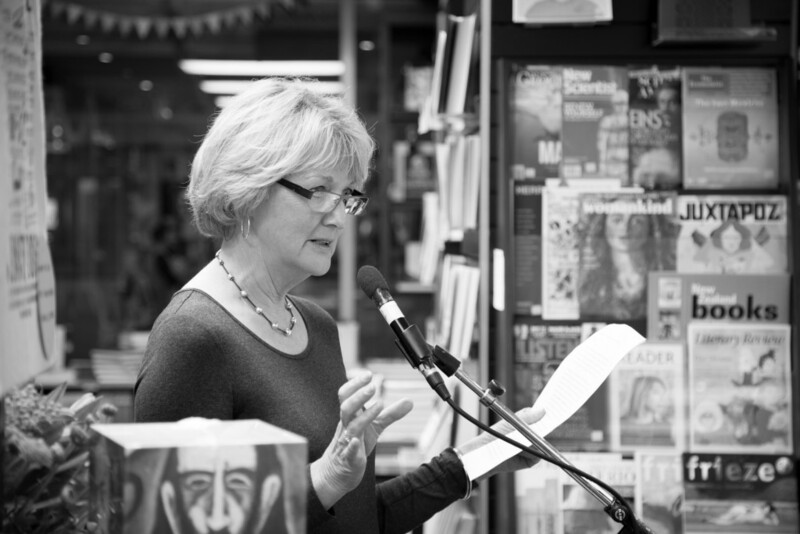 A winner of numerous awards, including the NZ Post Children’s Book Awards and the Esther Glen Medal, her books have a specific type of sophistication that respects and challenges her readers. Inspired by her own veracious reading appetite when growing up and a love of the new wave of post war children’s fiction, she builds her novels with cinematic layers that are as much about the set and scenery as they are about the plot. 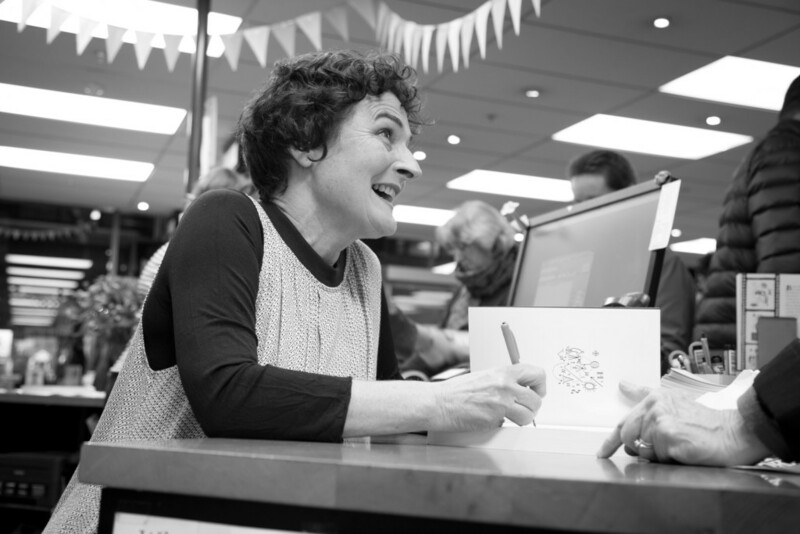 Kate De Goldi signing after her launch at Unity Books. Photo copyright Matt Bialostocki. One of the things that De Goldi says inspired her most recent writing, was the post-war ‘middle range fiction’ that really ‘nourished her insatiable appetite’ as a teenage reader. She says that nowadays the publishing world has been keener to produce age appropriate works, particularly in the young adult space. She wanted to create a book that was less age prescriptive. In her latest book, From The Cutting Room Of Barney Kettle, we meet filmmaker Barney Kettle, who likes to invent stories, but in this case finds the real oil right under his nose. The book opens with a letter written from a hospital bed by an unnamed man, as he recovers from serious injuries. He introduces his project: a story about Barney Kettle which he writes over many months, as he slowly recovers. He writes to remember the street where he lived, home to a whole raft of strange, weird and interesting people and bizarre, singular shops and curious stories. He writes to remember the last few summer days. Before he was injured; before it all came crashing down; before his world vanished. Barbara Larson, Kate’s editor and expert chopper – helping to launch Kate’s book. Photo copyright Matt Bialostocki. 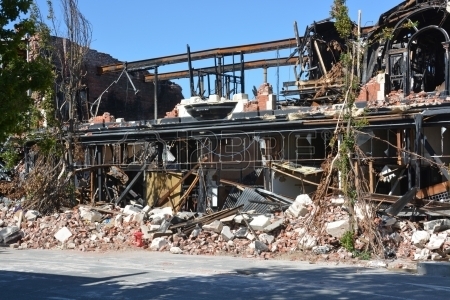 Remains of the McKenzie Willis building, on High Street, Christchurch after the quakes. Also an important part of the picture, De Goldi says, was to set Barney living over an old school junk shop. “The kind that Christchurch’s High Street were once full of, with discarded fashions, lawnmowers, TVs and appliances and all manner of bric-a-brac.” The ultimate props room for a filmmaker, and a place of constant visual inspiration. The Cutting Room of Barney Kettle is definitely one of those multi-layered books that will, hopefully, invite many re-reads as its reader gets older. For the younger reader, there’s the opportunity to explore a world lost forever. For older readers, perhaps a chance to remember a world that is still alive in their own imagination. This entry was posted in Author interview and tagged Barbara Larson, canterbury earthquake, High St Christchurch, Kate De Goldi, Longacre, McKenzie Willis Building, Penguin Random House NZ, The Cutting Room of Barney Kettle, tim gruar by booksellersnz. Bookmark the permalink.